Last weekend I was in Lakkidi, also known as gateway of Waynad. Lakkidi registers 2nd highest rainfall in the world, after Cherrapuji. Its small town with full of natural beauties, hills, forest, tea plantation, hairpin bends. Before visiting this place, as usual I was browsing net for more information, tourist attractions, places to visit in Lakkedi. 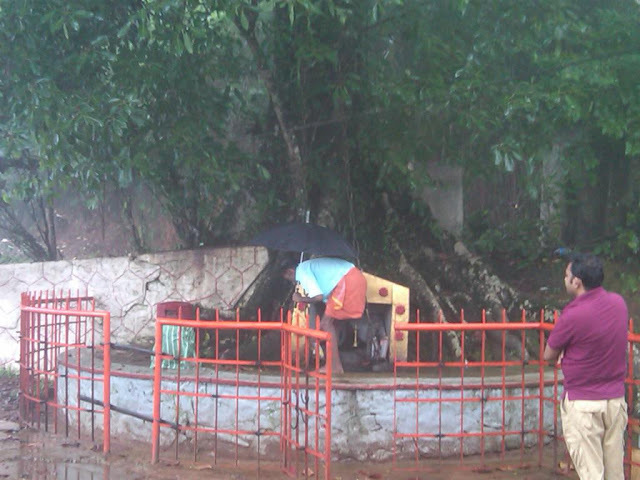 The one place which excited me most, was the legendary Chain Tree of Lakkidi. I will write more about my trip to Lakkidi in some other blog, let me first tell you about the chain tree. 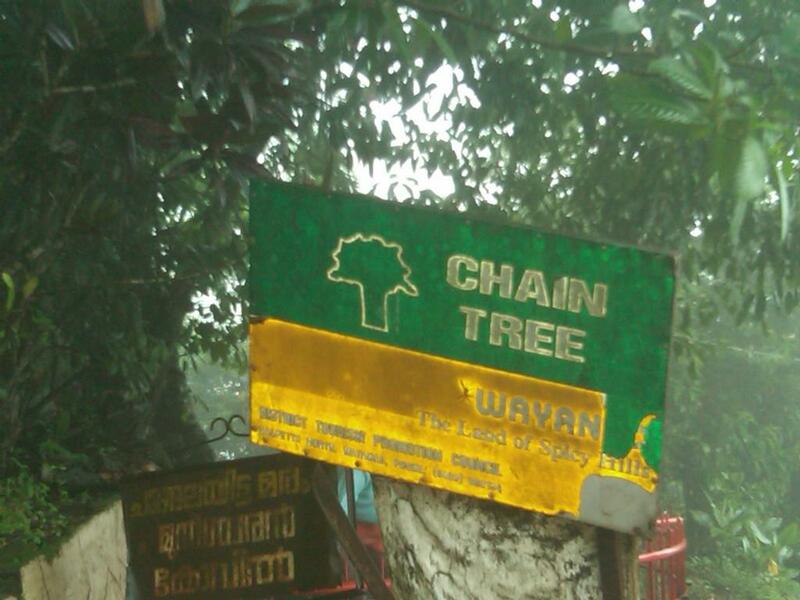 Its large ficus tree, is bound by a chain and has an interesting story behind it. Before independence, British rulers were attracted by the natural beauty of Waynad and the wealth of spices available there, but getting there was very difficult. No roads, several attempts were made to cut roads through the rugged mountain passes, but didn’t work. The native tribesmen who lived in the forests knew the mountainous terrain well, and one of their youths Karinthandan showed the British engineer the shortest route to reach Wayanad. He guided a British engineer to reach Wayanad from Adivaram, the base area from where the climb to Wayanad starts. But after learning the route and to take credit for the discovery, the British engineer killed the youth. After that the spirit of the dead youth used to haunt the place, disturbing travelers and terrifying them to death, especially unwary foreigners who happened to pass along. It is believed that a priest conducted some rituals and chained the ghost to the ficus tree. The tree has grown considerably since then. When we visited there and talked to a man who takes care of the place, told us that the chain keeps growing with the tree. You can see a heavy iron chain dropping down from the high branches of the tree and anchored to the ground. In the next image, you can see the photo of that tribe youth.